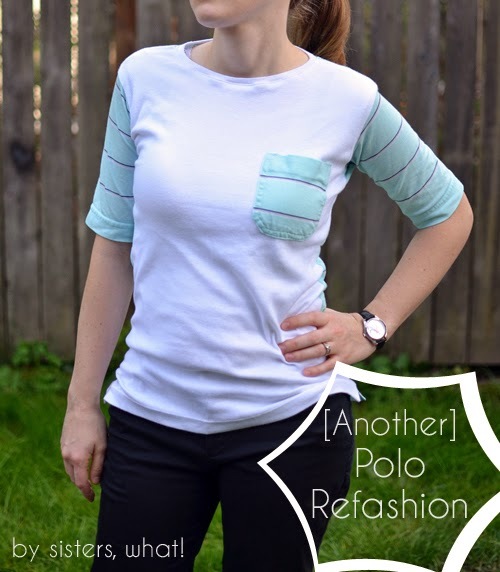 ' Another Polo Refashion - Sisters, What! 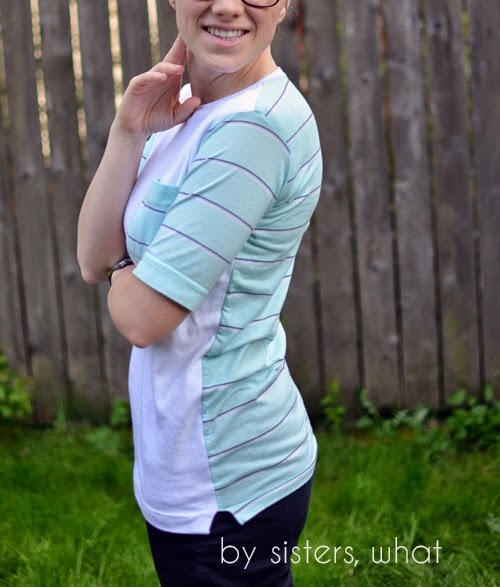 Remember a couple months ago I showed you the slouchy top [HERE] I made? Well around the same time I also did this polo shirt refashion. 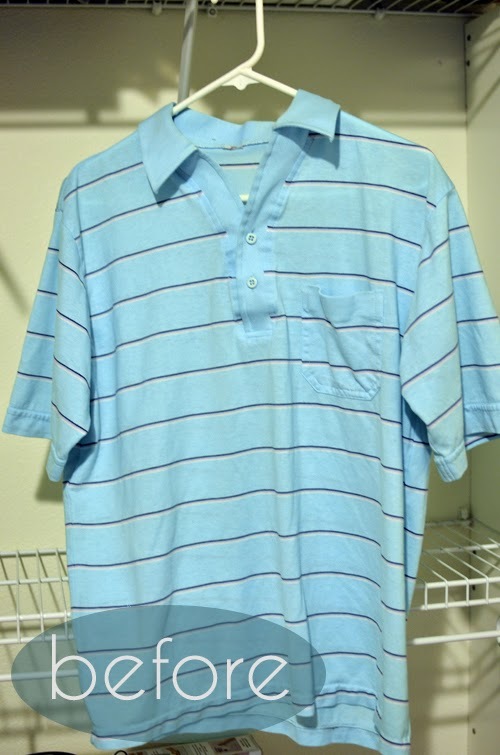 I was planning on doing a very simple refashion for this polo, but the color was just kind of funky and not working for me. However, after I made the slouchy top with the white front and striped fabric backing, I had the brilliant idea to do this with the polo. And it was such an easy solution too! and of course, there is a pocket!! //1// First you'll want to cut up the polo piece by piece. So cut off the sleeves at the elbow, and cut off the back of the polo. Don't forget to cut off the collar. //2// Grab one of your favorite knit shirts and the sleeves on top of the polo sleeves. 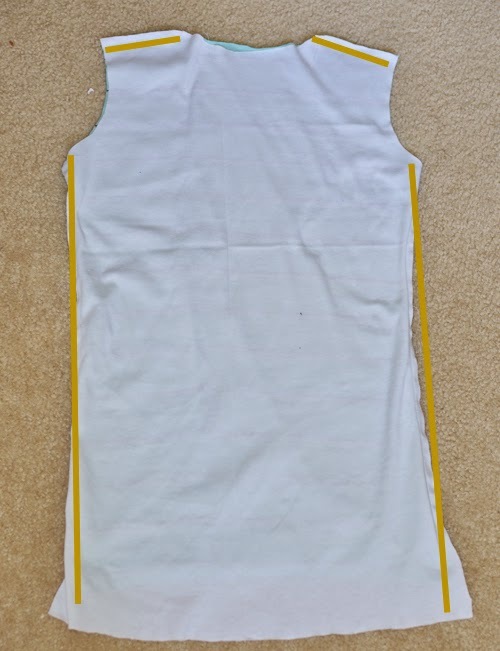 Sew the sides of the polo sleeves. //3// grab the back of your polo and lay it on your solid color knit fabric. Trace and cut the knit. Using your favorite knit shirt, cut your neck line to desired lowness. //4// Grab your old knit shirt again and lay it on top of the polo back and knit fabric that you just cut out. Estimate where the shoulder seams lay and cut out. This part doesn't have to be perfect, just do your best. 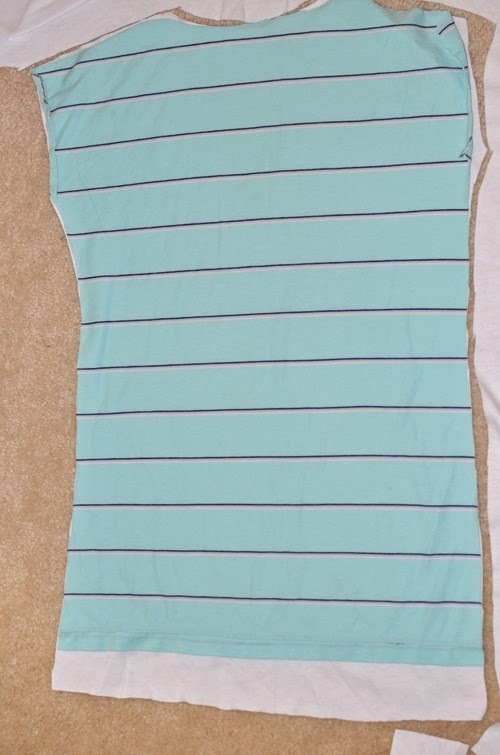 //5// With right sides together, sew your polo back and knit front at the shoulder seams and the side seams. //6// Next attach the polo arms (sorry no picture here). Insert arms inside the shirt with right sides touching. 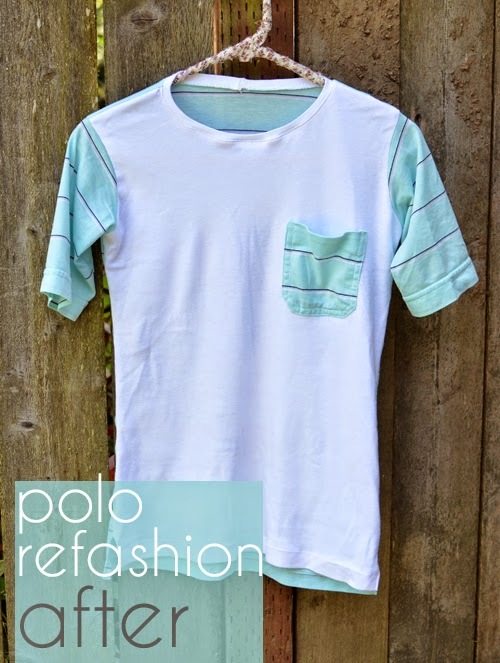 And if you love pockets like me, you can always attach the polo's pockets onto the front of the shirt.